She was always "in tune" with the style of the day! She passed away two years ago, on Valentine's Day, 2008. 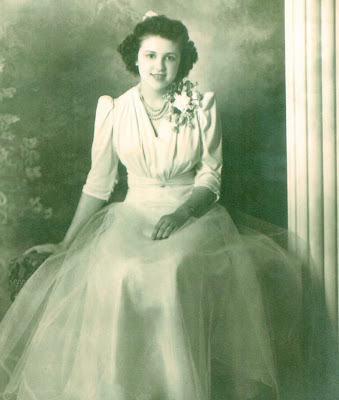 The picture shows her at high school graduation, 1942, wearing the most beautiful dress in her class. 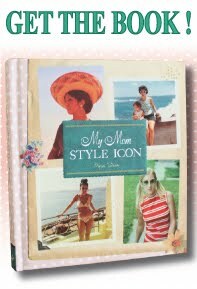 I chronicled mom's life in old pictures after she passed away, to publish on a memorial website. It was a learning experience for me, as I got to know my mom in a new light, and it helped me transition in my grief process. And then.....nearly fifty wonderful photos later....it became fun!